Whitish, up to 20 mm in size, with males and females the same size. 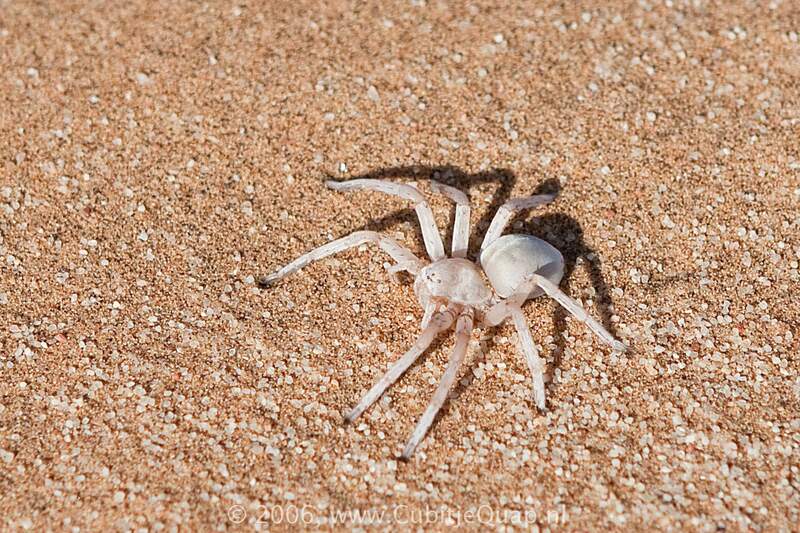 The wheel spider is nocturnal, and a free-ranging hunter. It lives in deep trapdoor tunnel in loose sand. 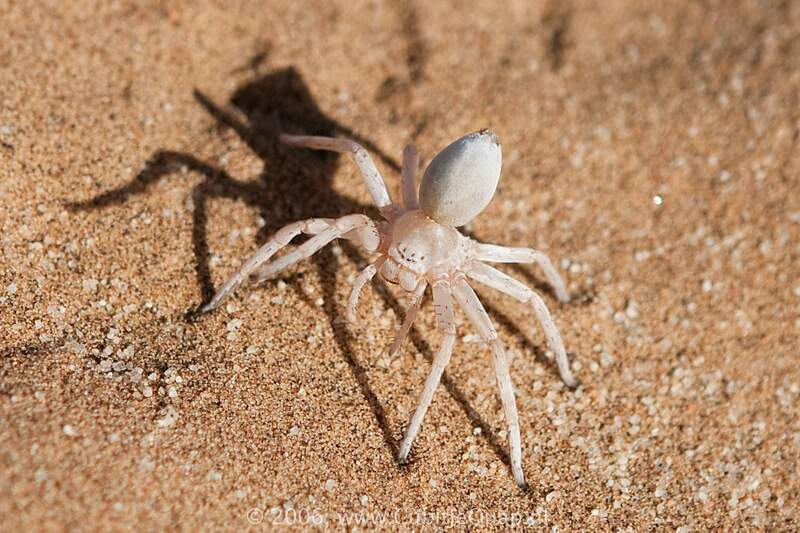 Dances like a ballerina when threatened and may cartwheel down dunes to avoid predators.